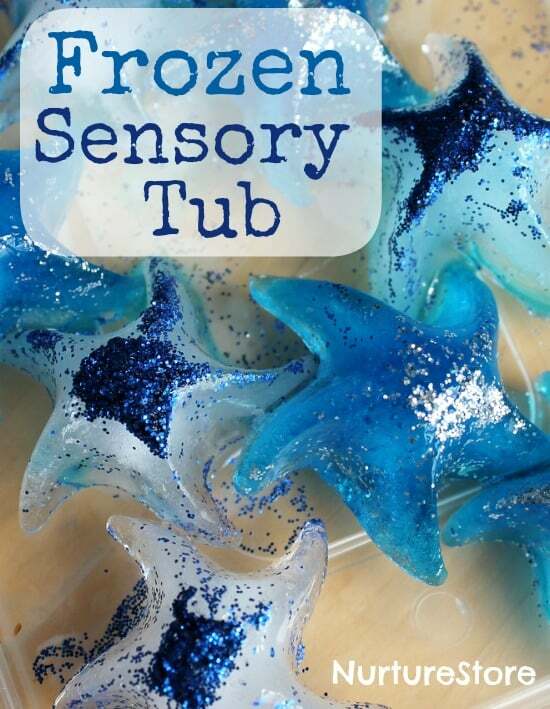 Inspired by the film we’re all crazy about, and packed with lots of sensory play and a dash of maths, here’s a frozen sensory tub that’s been a big hit with my daughter. 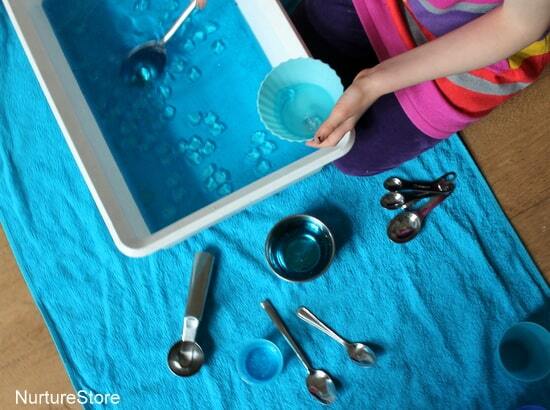 topping it with plain and blue water (using food colouring), and popping it in the freezer. 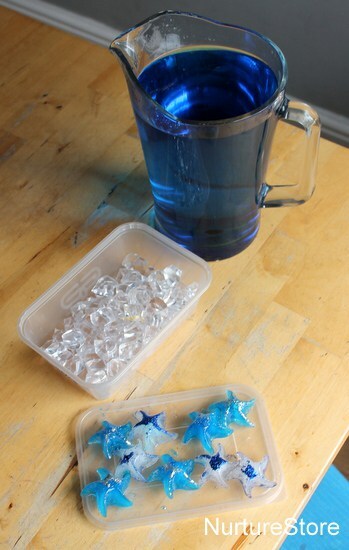 The next day we filled a big plastic tub with blue (food-)coloured water, plastic ice gems and our frozen snowflakes from the freezer. 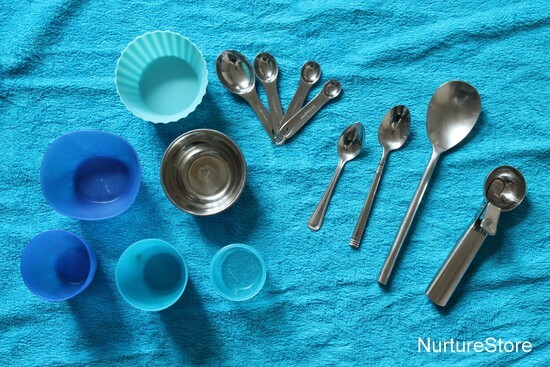 You can easily add a dash maths by including some pots and spoons in a variety of sizes. 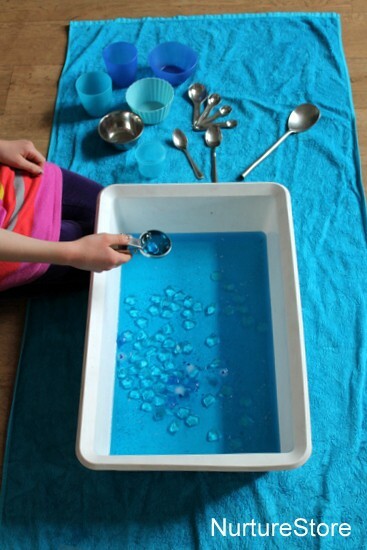 Without needing to teach, children can explore and discover concepts around size, volume, ratio, counting and measuring, simply by playing with filling and emptying as they enjoy their sensory tub. 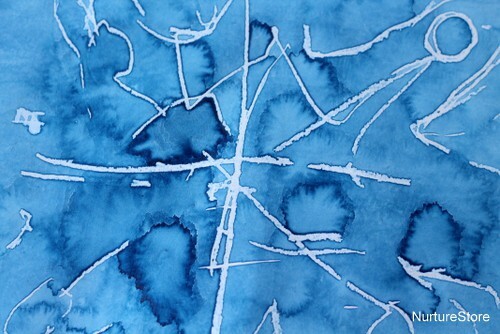 The frozen ice snowflakes turned out to be beautiful. 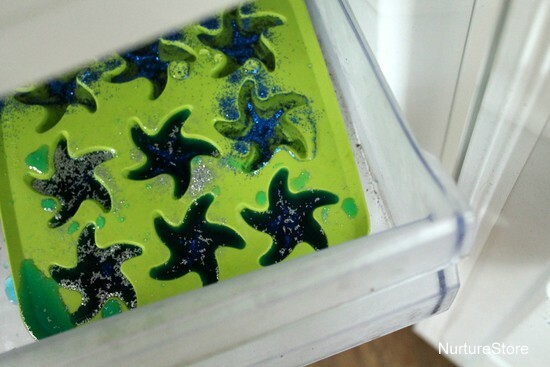 As they melt the glitter is released and the water in the sensory tub gets some extra sparkle. I set the frozen sensory tub out on a towel on the floor. If your children are likely to want to do lots of splashing you might prefer to set this up outdoors, in a paddling pool, or in the bathtub. My daughter had the Frozen film running in the background as she enjoyed her sensory tub – and she sang along as she played. 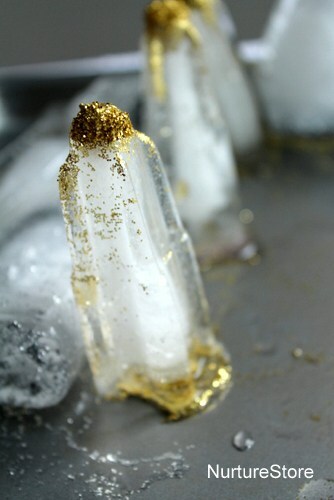 Where did you get your plastic ice gems from, please? Hmmm, I think they were just from my local pound shop (/dollar store) Bernadine. Thank you! 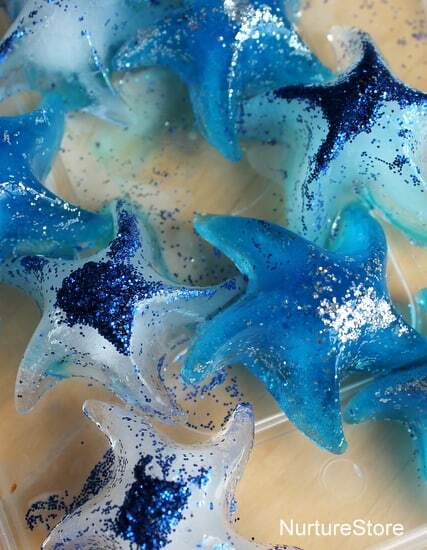 When I asked that question I thought the gems would be my biggest problem but I haven’t been able to find those pretty ice star trays you used anywhere. Well I tried Lakeland, Hobbycraft and Amazon so far. Did you get your ice tray from the pound shop too? 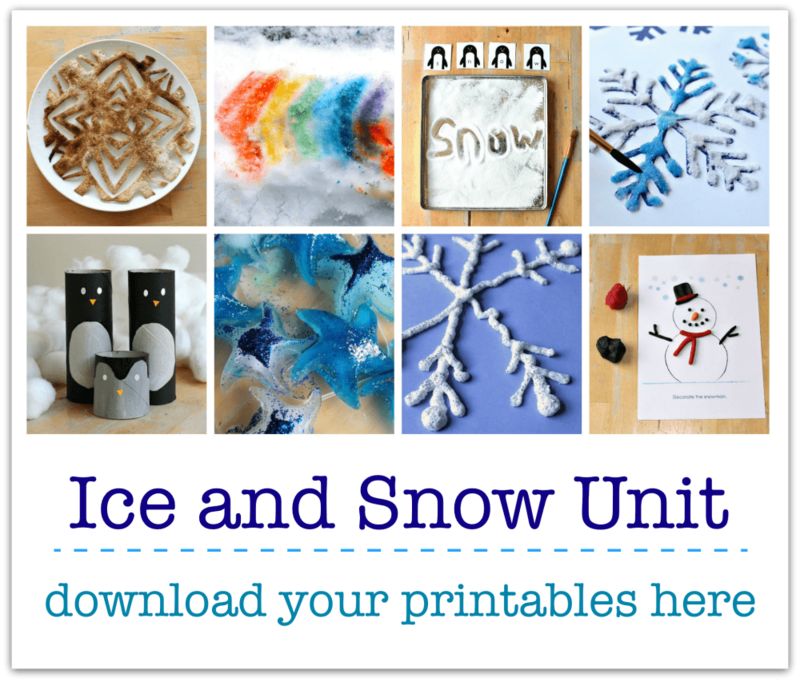 I love this Frozen activity and can’t wait to try it! Hello again! 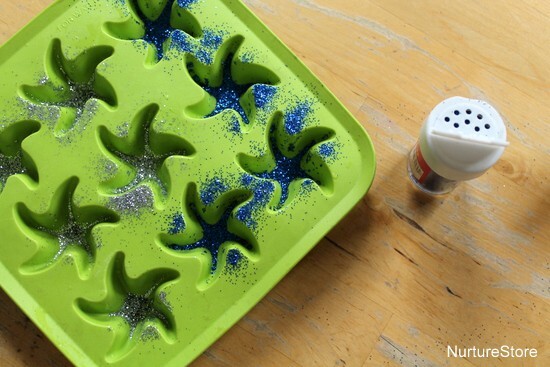 The ice trays were from Ikea, but really any tray would do. It’s the glitter in the boton that makes it special! Hope you have fun playing. Ah Ikea! Great, thanks. 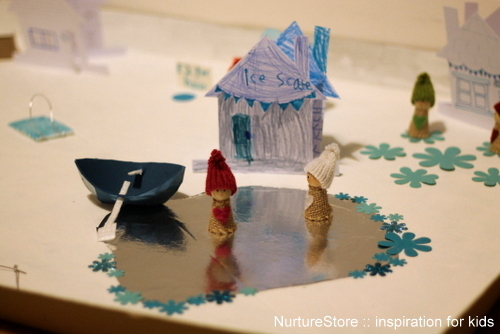 You’re right, it’s the glitter that makes all the difference but I do love an excuse to go to Ikea 🙂 We’ve already had a great time with the Frozen Play-dough activity you linked to and I’m looking forward to presenting this one before the summer weather disappears. Really great!! Me encantan tus ideas. Algunas las llevo a la práctica con mis alumnos. I love your ideas. Some of them I practice with my group of pre primary schoolers of 5.